When moving house, plan and preparation are essential. Aside from searching for a reliable removalist company, knowing where to buy moving boxes is also important. However, the process is often easier said than done. When you juggle multiple obligations at the same time, trying to find cheap packing boxes for sale becomes an additional stressor to moving. 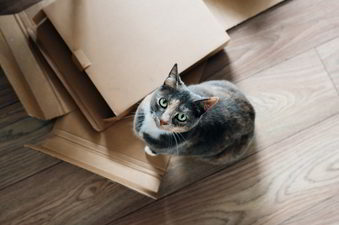 The good news is, you can purchase moving boxes without going to brick and mortar stores. All thanks to modern technology. There are a plethora of online stores offering an extensive range of moving and packing supplies. Choosing the right supplies for your moving needs can be tough if you have plenty of options to explore. Packing your household is time-consuming and tiring. Aside from collecting boxes and morning newspaper to ensure your items arrive at the new location unscathed, packing must be done properly. Worse, you took a trip to the supply store only to discover they no longer sell the moving box sizes you need. Wasted time and effort. It is back to square one for you. How and where to buy moving boxes? Even recycling used boxes may not be worth your while as you never know if they can protect your stuff while in transit. Unnecessary delays and inconveniences can be avoided by determining what is needed and how much is needed. Once your list is ready, search for some viable options where you can buy cheap packing boxes for sale. Narrow down your selection, taking quality and price into consideration. Read descriptions so you will know if the product fits your needs. If you do not have the luxury of time at your disposal to go from store to store, shopping online will be your best bet. Read customer reviews and feedback as they can help you gauge a company’s efficiency and reputation. Knowing where to buy moving boxes can save you time and ensure that your stuff arrives in one piece. Need packing and moving supplies? Visit Moves Boxes, your one-stop shop for your moving needs.